U.S. retailer Target, which is often referred to by both fans and haters with a faux French pronunciation, has incorporated the concept into an ad. Target, which is normally pronounced “tar-get,” is sometimes pronounced “tar-jay,” mimicking how the name might be pronounced in French. The pronunciation is used tongue-in-cheek, derisively or in praise of what some view as a higher end big box store. The spot uses a combination of French-derived and English words that end in the same sound as “tar-jay” and appear on screen — such as sorbet, stowaway, sway and flambé. At the end of the commercial, the Target bullseye logo is shown with the acute accent mark over it, a subtle reference to the “tar-jay” pronunciation. Interestingly, the only word in the commercial that actually features a e with an accent mark, technically known as e-acute, is “flambé” — “sorbet” is French but the “t” is silent. It’s also worth mentioning that the bullseye icon is used in place of the company’s full name — but is still intended to read as the full word. Target has, for several years, placed the icon next to “.com” to indicate its website address. 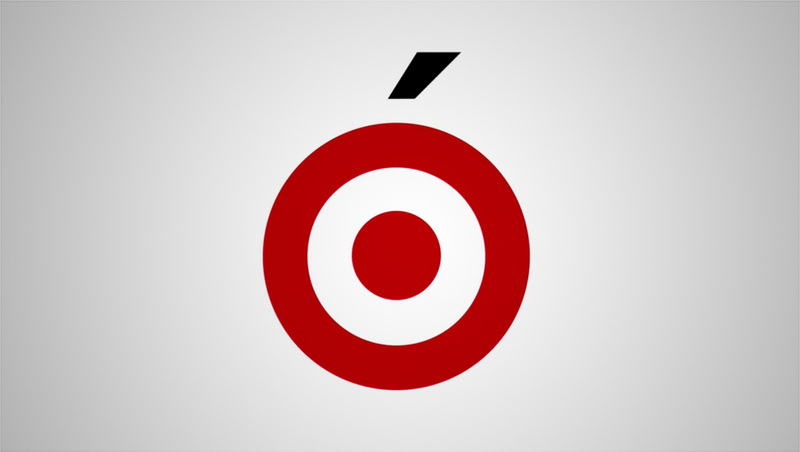 There is some debate how the name “Target” would be pronounced in French. The retailer briefly operated in Canada, but otherwise is entirely U.S. based. Strictly speaking, the word “target” in a general sense translates to the entirely different word “cible” in French, though there are other words that can be used to convey the meaning of a target in the sense of a bullseye. It’s also worth noting that in many cases, U.S.-based multinational companies retain their English pronunciation in other countries.